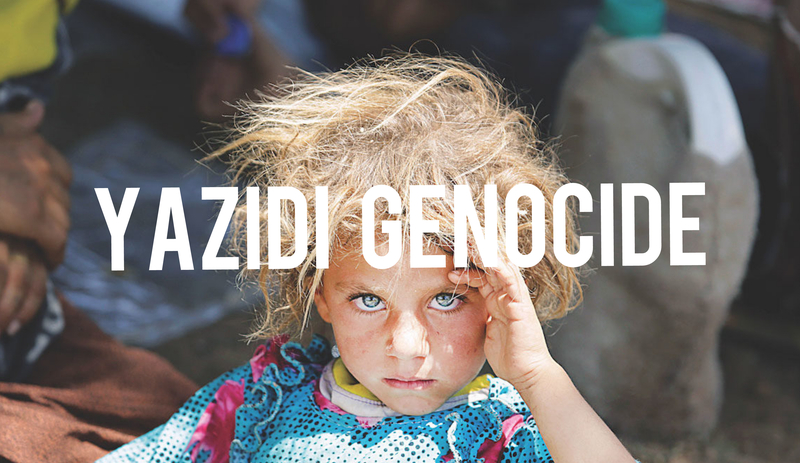 In August 2014 Islamic Extremists working under the banner of ISIS/Daesh attacked the Yazidi community in Shingal (Sinjar), Iraq which resulted in the murders of over 5000 and the kidnapping and enslaving of over 6000 women and children. These are estimates as accurate numbers have yet to be completed due to the situation in Iraq and mass graves still being discovered. There are many questions on how this situation was allowed to develop and why the response was slow, sloppy and minimal from the security forces in Iraq and the international community. The situation in Shingal, as in a lot of Iraq is still very murky where communities rely on local militias for protection and the distribution of humanitarian aid is sparse if any. Since the attacks of August 2014, the Yazidi community are still trying to come to terms with the events where thousands were killed and sold into slavery. There are still over 3000 mainly women and children missing and not accounted for, sadly most are presumed dead. Children have been returned after being trafficked throughout the Middle East with one recently being returned from Albania. Many of the returned children have been radicalized by their time as ISIS slaves, there are some who bonded with their captors in classic Stockholm Syndrome fashion and developed new lives, and many are suffering post traumatic stress disorder after their ordeals. They have suffered being ripped from their families, watching family members being executed, sexual abuse and repeated rapes, and now again the international community the claims to care has lost interest, if they ever did in the first place. The situation now for the Yazidi’s still in Shingal is bleak with their community destroyed, families broken apart and a still unstable security situation. We hope this video will remind you of the plight of the Yazidis and also high-light the corruption and failures of those that claim to care!